One of the biggest priorities you have as a homeowner is keeping your plumbing system is excellent condition. At Cooper's Inc., our professional Auburn plumbers work hard to help our clients keep every part of their plumbing systems in excellent shape at all times. We work hard to perform high quality plumbing repairs at every job that we perform. All of our plumbers are licensed, trained, and experienced professionals who can eliminate any kind of plumbing problems you encounter. We'll always be ready and eager to help you ensure that every part of your plumbing system is in great shape. Call us today to schedule your plumbing repairs in Auburn, KS, and we'll be looking forward to assisting you. You and your family use your water every day, and multiple times throughout the day, so you need it to be totally reliable. It's an integral part of the comfort of your home, and it's very important to your daily life. 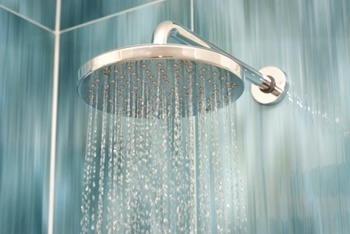 When you have any problems with your water heater, our Auburn plumbers will be able to provide you with the solutions. You need your air conditioner to keep your home cool and comfortable throughout the summer months. You also need to know that you're not overpaying for the energy that air conditioner uses to cool your home. Our Auburn air conditioning contractors can provide you with air conditioning tune-ups and repairs to help you keep the system totally reliable, problem-free, and energy efficient. Problems that you encounter with your heating system during the colder parts of the year are more than just inconvenient or uncomfortable. If the temperatures are low enough, these problems can be serious health and safety concerns. Our Auburn heating contractors are always available to provide you with any heating services you need to help ensure that your home is warm, comfortable, and safe. If you are looking for a professional air conditioning and heating contractor or plumber in Auburn, KS then please call 785-267-4100 or complete our online request form.